Garnishments are stopped immediately by both Chapter 7 and Chapter 13. Chapter 7 will not discharge the underlying student loan debt, some tax debt and tax liens causing the garnishment. If the garnishment is from tax debt assessed within the last three years or a tax lien, the garnishment may resume after Chapter 7. 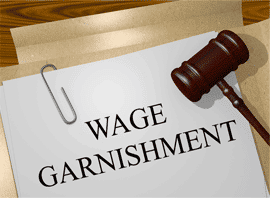 A tax lien may be valued and paid in Chapter 13 plan to stop the garnishment. The lien will survive on the property that you own prior to the bankruptcy.